We don’t have to understand the stories as factual accounts of anything in order to grasp the truth that God’s grace changes everything. I am 65 years old. For most of my adult life I have wrestled with what to believe about the resurrection—in a factual sense. At times, during those many years, I have closely identified with scholars such as John Dominic Crossan and many others in the Jesus Seminar. Some such as Crossan and Marcus Borg have argued that Jesus was not even buried in a tomb. Certainly, there is a good measure of historical plausibility to support that theory. At other times—more and more lately—I have found myself agreeing with Tom Wright. For him, the resurrection is a historically sound proposition—factum historicum. The resurrection, as I’ve thought about it these many years, sometimes seemed to be only a metaphor for God’s grace. I was comfortable with that once upon a time. At other times, it seemed real, but only as a non-material spiritual reality expressed as fable. I was comfortable with that also. Lately, I have come to believe in a physical, bodily resurrection that, in all respects, was absolutely scientifically impossible and hence completely miraculous. Thus I was attracted to what you said. Indeed, I realized, that from all my varied perspectives on the resurrection, I could nonetheless “grasp the truth that God’s grace changes everything.” But that phrase is not what the stand firm crowd really objected to. What bothered them was that you were generous to those whose perspectives are different from one another . . . to those of us on journeys of faith . . . to those who struggled as did St. Thomas and so many of the saints throughout history. For, to all these, Christianity did not make sense without resurrection even if resurrection did not always make sense. Modern Anglican conservatism and liberalism can be intellectually engaging. Authors such as Tom Wright don’t fear or denigrate liberal and progressive thinkers and they are willing to engage respectfully in discussion and debate. The same is true for honest-to-God liberals. The little book, The Meaning of Jesus: Two Visions (with chapters on resurrection) by Marcus Borg (liberal) and Tom Wright (conservative) is a useful, polite and informative example. I see nothing like the attitude expressed in that book by two friends in the ugly comments at Stand Firm. As one who is theologically conservative on the matter of resurrection, I am embarrassed by the verbal attacks. 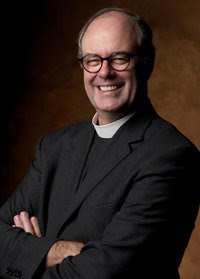 You can read Geoffrey Hoare's blog posts explaining the sermon here and here. My own journey has been much like Dan's. I was very influenced by Marcus Borg, but have now moved toward a more orthodox view of the resurrection. Nonetheless, I think that there is room in our pews for a diverse set of views on the issue, and agree with Dan that Hoare's sermon is hardly worthly of the venom it is getting on Stand Firm and other websites. The resurrection is a revelation of God's mercy and grace. Humankind commits the worst kind of sin in killing the Son of God. Yet, in an unfathomable act of mercy and grace, God raises Jesus, and in this act forgives humankind.